Are you looking for simple ways to cut down your heating costs and improve the appearance of your home? Add storm doors to your home’s façade. Storm doors are installed in front of an entry door for added insulation, beauty and light. Bee has a huge selection of storm doors to choose from – you’ll find several that you’ll love for any style home imaginable. 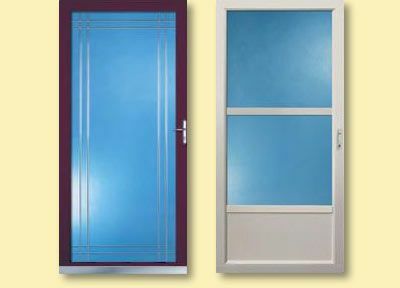 Interested in having storm doors installed for your home? Request a quote today!